If you like your music with a horn section, you'll love stingy brim style brown pork pie hat. 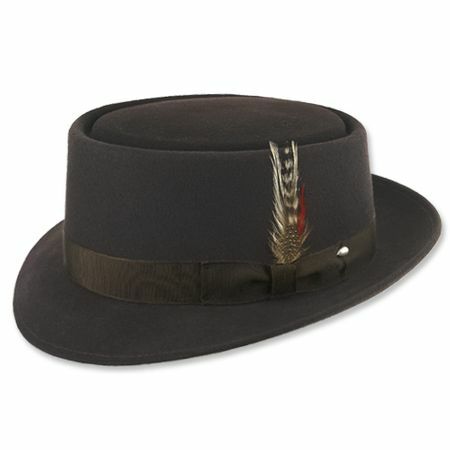 The pork pie hat has that style that simply just goes well with men who favor jazz music like no other. This brown pork pie hat features stiff 100% wool felt with a satin lining to help keep your hair in it's place. Stay in style with a brown pork pie hat.